An online journal digitally published on a webpage, containing the writers experiences, knowledge, expertise and opinions of relevant industry discourse. One of the best Inbound Marketing strategies a business can utilise is content creation, especially writing blogs. Connecting directly with your audience through publishing relevant blogs not only engages your customers but provides valuable SEO too. 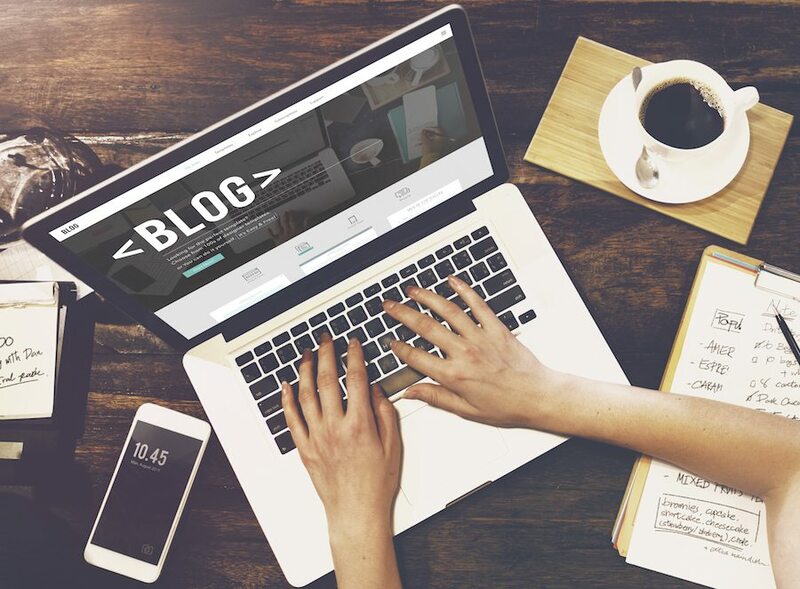 Blogs provide your business with an additional shareable content piece, the ability to create cost-free native advertising about your brand, generate and direct leads to your brand, and extra real estate for your valuable calls-to-action. You don’t have to be an award-winning writer with a series of published books in order to write a blog – that’s the amazing thing! As long as you know about your brand, products and services, and the industry you operate in, you’re already a step ahead of the rest. The hardest part is dedicating time to sit down and start writing. But with a few tips, we will have you set up to write a whole bunch of different blogs, just like we have here. Get back to basics and be inspired by our 10 step how-to guide for blog writing. Before you put pen to paper, understand who your audience is. Who will read your blog? What do they want to know? What will resonate? An easy way to think about this is to understand your customers. Your customer base (either current or future) will more than likely be the ones to read your content. For example, the blogs we post at Chilli are all marketing and business focussed. As we are a marketing agency, we are experts in this field. Our customers come to us looking for advice on how to market their business, generate leads, and promote their products. Therefore we write relevant blogs, catered to these needs. Without a topic, what will you write about? Your blog topic and title can start off pretty general to give you some initial direction. However, as you continue to write, your blog will adapt and take shape into specifics. For example, at Chilli, we might write a blog on inbound marketing strategies but may eventually focus on the email automation aspect specifically. This step is all about providing a sense of direction for your story to help aid in the planning of your content. It is essential for the introduction to grab the reader’s attention! If you lose the reader within the first few sentences, they’ll stop reading before they get to the all important, juicy details. Captivating your audience’s attention can be done in a number of ways: you could tell a joke, be witty, be empathetic, or grab the reader’s attention with interesting statistics or facts. It is then essential to describe the purpose of the blog and explain how it will address an issue or problem. This gives the reader a reason to continue and connect with the blog (and your brand). All stories must have a flow; a beginning, middle and end. Sometimes blogs can provide an overwhelming amount of information, so ensure your content is structured to make interpreting the details easy for the reader. Organising can be done by breaking the blog into sections with subheadings, compiling lists of tips, or providing a step-by-step guide. Now you can actually start writing! You have just completed all of the planning stages, so now it is time to work on the actual content and copy of your blog. Use the outline you have just completed as a guide, and simply fill in the blanks. This is also the perfect time to do some secondary research to help make your blog reliable and accurate, but make sure to include proper attribution for any details that are not your original work. Finding your ‘flow’ can be a little challenging at first. So when you start writing, begin with bullet points of comments/sentences and work on stringing them together afterward. The number one rule when it comes to writing – PROOFREAD EVERYTHING! Far too often, simple spelling and grammatical mistakes are made while your fingers dance upon the keyboard. Unfortunately, these mistakes can be easily missed by Microsoft Word (i.e. their, they’re and there). That’s why it is oh so important to read your blog once, twice, and even three times very carefully, to make sure there are no mistakes. It is also important to check the flow of your story. So it can be helpful to ask a colleague to proofread your work also. The aim of a blog is to not only provide information to the reader but also prompt the reader into action. Inserting a call-to-action indicates to the reader what you want them to do. Whether it is to download your latest eBook, read through more blogs, subscribe to your eNewsletter, or pick up the phone to place an order. The call-to-action is an excellent tool supporting lead generation too. After you finish your blog, check your blog is ready for the World Wide Web. Search Engine Optimisation (SEO) helps increase your blog’s visibility online using keywords, URL slug lines, meta descriptions, keyword-rich headings, and mobile optimisation features. Tools like YOAST (a plug-in available with WordPress websites) measures your SEO ranking prior to publishing. Choose a title for your blog that is interesting, prompting people to read on. Start with a working title, then jazz it up to make it catchy, through strong language, alliteration, humour, etc. To further optimise your blog for SEO, include your keyword within the title. Blog titles should ideally not be any longer than seven (7) words. Go back through your blog and double check the formatting is correct and legible. Add a feature image to the beginning of the blog, check the visual appearance of headings and font, include hyperlinks, and topic tag the blog appropriately. Welcome to the writers club! You are now ready to start writing blogs of your own for your business. To learn more about how to write blogs appropriately for SEO, read through one of our latest blogs HERE. For more information on inbound marketing strategies, feel free to pick up the phone and contact us at Chilli today.